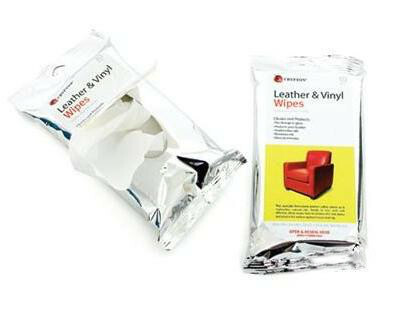 The Pride® Leather and Vinyl Wipes cleans and protects your leather or vinyls. The Pride® Leather & Vinyl Wipes cleans and protects your leather or vinyls. They also replenish oils, remove ink and dry within minutes. Contains 10 wipes per pack.